Constantly looking back is as distracting as driving while texting! The past is experience to view on occasion for wisdom from the lessons learned. It’s not a dwelling place. Don’t endanger others or yourself because you repeatedly look back and miss your current point of view. All course corrections shouldn’t come from a crash. You shouldn’t always find yourself at a point of close calls. A peaceful state of navigation with the occassional disruption is better than a constant cloudy view. Stop driving through life distracted! 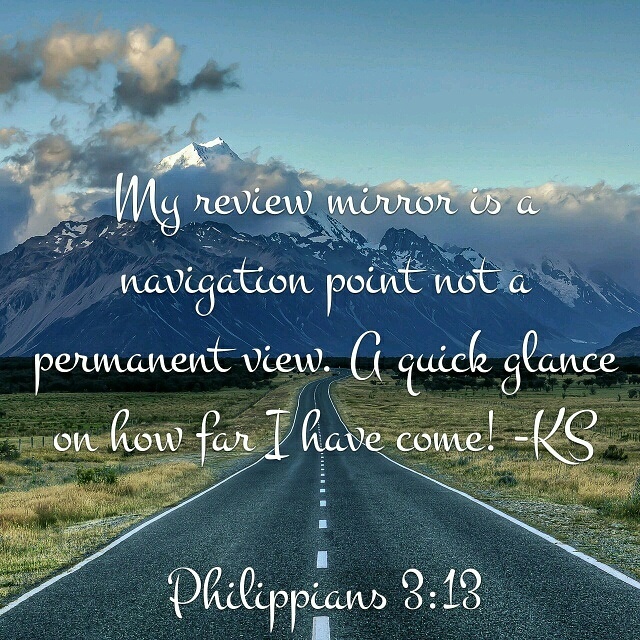 Focus with clarity to reach your destination safely, healthy and ready to enjoy what lies ahead!